Looking for hot, affordable Europe this summer? Avoid the traditional centres and check out these great cities. From the twisted metal of the Guggenheim Museum to the quiet courtyards nestled amongst apartment blocks, this Basque city in Northern Spain is a compact architectural gem: . Relax in the city and munch down tapas and seafood accompanied by local wine; but if you feel like a spot of exercise Bilbao is also a great entry point for the lesser-known Northern route of the Camino de Santiago de Compostela. Even in the middle of summer this northern-most Baltic city is not going to give you a hot reception, but its city walls encompass something unique. Estonia is the only country in the world to deem internet access a basic human right and it is this aggressively forward-looking mindset that’s transforming the cityscapes into a fusion of medieval stone with steel and glass. Bike tours of the city are recommended while the close of day is best enjoyed with a few shots of local spirit Vana Tallinn. 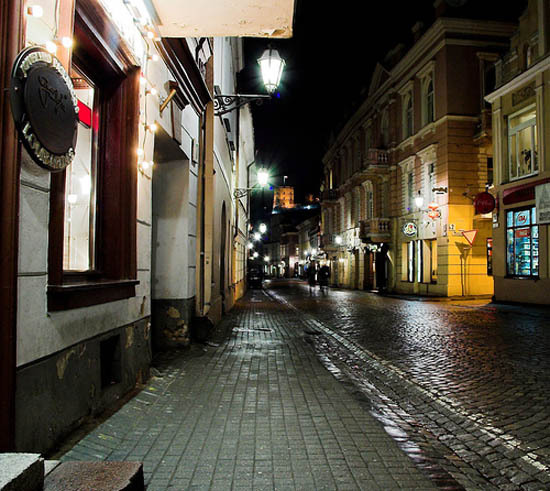 Popular with pre-wedding stag and hen parties arriving from Britain, it can be hard to look beyond Riga’s pub-crawl nightlife. The quiet hours of the morning, however, are perfect for wandering through riverbank parks, exploring the old town and admiring the Art Nouveau architecture which seems to rear at every turn. The sun sets late during summer, so there’s still a stain of light at midnight. It’s a brilliant time to be at the stylish Skyline bar atop the Reval Hotel. If you’re more at home in the forests than the bars, some of Latvia’s best hiking can be found in the Sigulda Forest Park just hours from the capital. For more on Latvia, listen to the author’s podcast, Top 5 European Destinations for the Falling US Dollar. 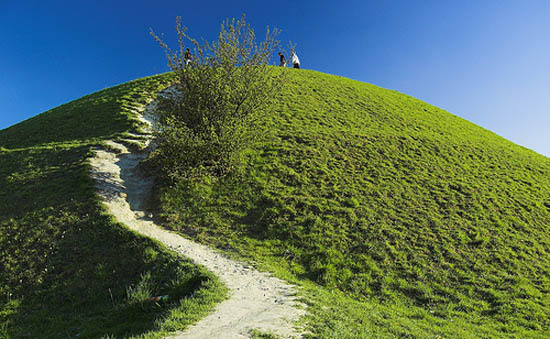 Walking through Vilnius is an experience not to be missed: it’s easy to happily lose yourself for quite some time. Turn one corner to find yourself on a riverside beach-front; another to be in an ex-KGB prison converted into an Occupation museum. Perhaps the most disorientating moment is when you cross into Uzupis — the breakaway republic within the capital city. Or is it when you cross a street to see the world’s only Frank Zappa statue? I don’t know! One thing for sure is that the view from the Cathedral spire helps you take in the city even if it doesn’t help you come to grips with its quirks. Leafy parks surround Europe’s largest town square: relax in a cafe, take in the churches and boutiques, then take a pleasant half-hour stroll to find yourself in Poland’s newest shopping centre. Krakow is, in my mind, the best city Poland has to offer short-term tourists: relaxed yet energetic, it’s the perfect place to guzzle pierogi and beer. Krakow boasts a good number of hostels and railway “hostel finders” during the peak season to ensure no one has to miss out. An important day trip from Krakow is the the WWII concentration camps of Auschwitz and Birkenau. Go by public bus rather than coach to save yourself enough money for a night’s accommodation. Coming to Romania? Do yourself a favour and head for the hills. Bus or train north of Bucharest into Brasov and you’ll find yourself in the heart of the Transylvanian countryside. Visit imposing castles, walk leafy forests and scream as your driver slams on the brakes to avoid the horse and cart that’s just pulled out in front of you. Brasov has modern cafes dotting its high street but explore further to find local restaurants where three course meals cost under €10. Kismet Dao hostel organizes independent castle tours for a great price. From a street vendor’s pilaf to a carpet-seller’s tea this city is a sensory indulgence. Within Sultanahmet — the tourist district — you’ll find the Blue Mosque, Aya Sofia, Basilica cisterns, Topikapi palace and more ancient ruins than you can shake a stick at. 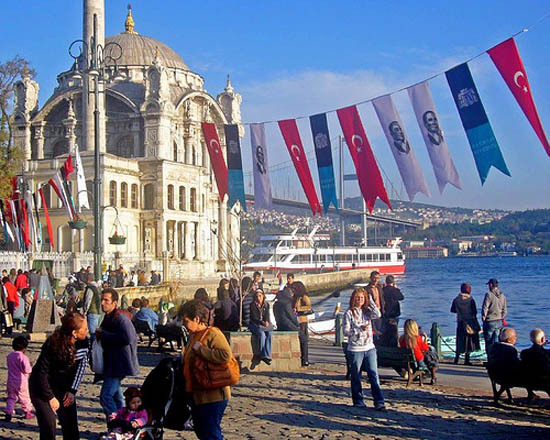 Combine that with the constant clamour of touts and the heady mix of shopping in the Grand Bazaar for a winning formula. Take the time to speak with touts — make it clear you’re not going to buy anything and have a conversation: they have fascinating insights into people and places. A city of culture, street art and coffee with a smaller financial footprint than Paris or Rome. Have a picnic in the grounds of Schönbrunn Palace, watch The Third Man before going to find the filming locations (or cheat and do a tour), or get cultural in the Museumsquartier. There’s fantastic food from all over the world — including some of Europe’s best sushi in the Naschmarkt — but who’s going to leave the city without a Wiener schnitzel? Home of hot baths and hot clubs, this is a beautiful city with wonderful support for independent travelers. Whether you’re researching the history or discovering the nightlife, Budapest will meet your needs. A myriad of bridges cross the river dividing Buda from Pest, while Margaret Island is home to lovely parks and relaxing bars. Under the streets lie kilometers of wine cellars to be explored: Hungary makes some terrific wines at great cost-to-taste ratios. Perhaps the best place in this list is little-known Cesky Krumlov; and you couldn’t ask for a finer medieval town to appear out of your fairy tales. The river swings through the cobbled streets while the castle looks down on art galleries and cafes. Whether you prefer exploring the castle and gardens or rafting down the Vlatava, make sure you stop for a local beer along with live music in the Gypsy Bar or, even better, a warm mead in the Two Marys during the cool of the evening. Ready to hit the cities of Europe? Come on over! When planning flights within Europe I’d recommend looking at skyscanner, for train timetables the German Rail website. Also, if you’re planning to travel at all by Eurail, check out or download my audio guide Everything You Need to Know About Traveling By Eurail Pass.